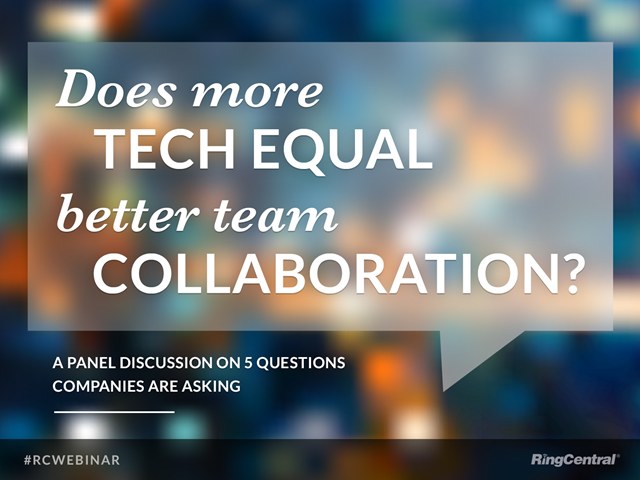 Does more tech equal better team collaboration? In this increasingly distributed work world, close collaboration among employees can't be taken for granted. But what does it take to keep your employees engaged and motivated? In this interactive webinar, our panelists discuss the foundations of effective team dynamics, what workstream conversation and collaboration means today, and how collaboration tools can impact employee productivity. Title: Does more tech equal better team collaboration?